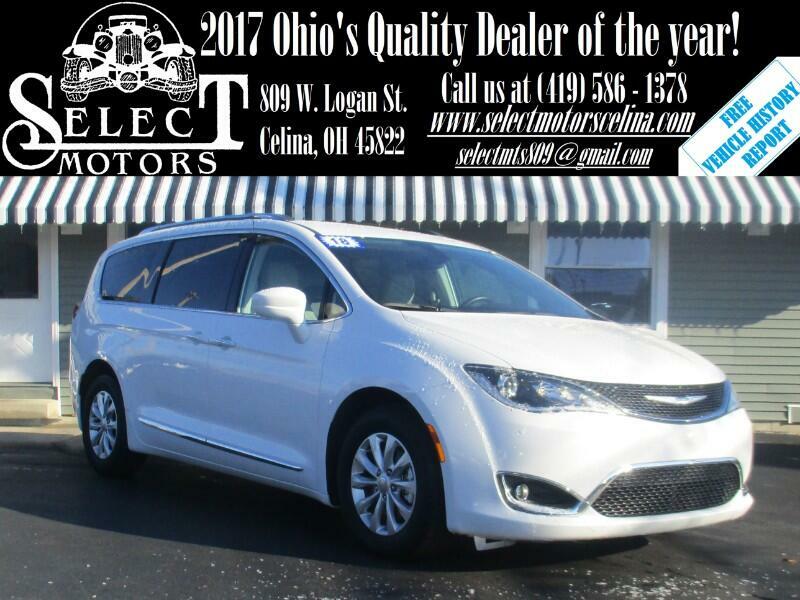 ***TXT US @: (419) 362 - 6200*** Navigation capable (Apple/Android CarPlay), heated leather seats, backup camera/sensors, power lift gate, blind spot monitors, automatic headlights, fog lights, heated/blind spot monitors, dual automatic climate control, power windows/locks/mirrors, keyless entry with remote start, AM/FM, SiriusXM, auxiliary and USB port, steering wheel mounted audio controls, Bluetooth, power seat with power lumbar, tilt and telescopic steering wheel, cruise control, information center, 17" alloy wheels. Fuel Economy: 19 city / 28 hwy. Warranties: Balance of Chrysler's 3 year or 36,000 mile bumper to bumper and 5 year or 60,000 mile powertrain. In service date: 12/05/2017. Extended service contracts available. The 2018 Chrysler Pacifica comes in six main trim levels: L, LX, Touring Plus, Touring L, Touring L Plus and Limited. The naming can be a little confusing but, as expected, the more expensive the trim level, the more standard features you get. There's also a Pacific Hybrid, which is reviewed separately. The Pacifica LX is equipped with alloy wheels, body-colored exterior trim, a driver information display, an automatic engine stop-start system, an eight-way power driver seat (with four-way lumbar), tri-zone climate control and folding/collapsible second-row Stow 'n Go seats.